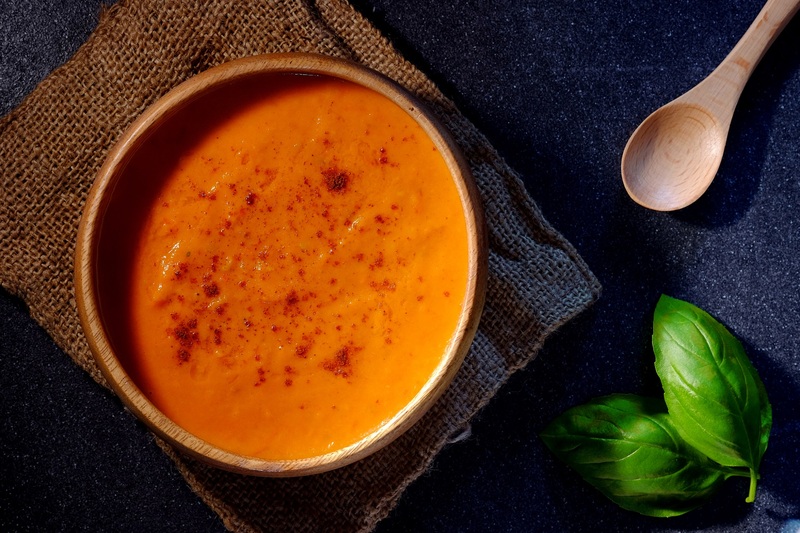 Wildly popular with the vegetarian community, a Gazpacho is a chilled dish that over the years has had so many versions and interpretations making its way into our kitchens, recipe books and cooking shows. It’s the smoky flavour of this recipe that takes it to a whole new level – making it equally delicious served warmed or chilled. Don’t be intimidated by the need of smoking equipment, you can achieve similar results in your oven. And the addition of sweet apple? 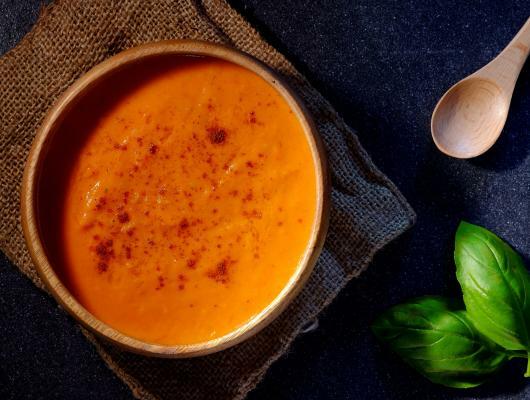 What a souper idea, yes please!